Learn how to make vampire fangs with this simple tutorial! If your little trick-or-treater VantsTo be a vampire for Halloween, skip the pricey store options and help your child make a set of vampire fangs by upcycling materials from your home. Learn how to make vampire fangs, and your little vampire will be set for a trip to Transylvania in no time! Have your child practise her best vampire snarl. Challenge him to curl up her upper lip as far as she can. While her lip is up and out of the way, use measuring tap to estimate the best dimensions for your child's fangs. The width should be a tad smaller than her mouth when opened, and the height should be a bit smaller than the height of her gums and teeth . Don't worry too much about getting the measurements exactly right. You just want a good estimate to ensure the fangs will fit well. Let your child use a pencil and paper to practise drawing her fang designs. She wants something relatively simple -- just a straight line of teeth with the two pointy fangs on either end. Make sure her practise drawings fit the rough dimensions you measured. Have her flip the plastic lid over, so that the the plain side is facing up. Help your child use a marker to draw her polished fang design on the lid. Plastic can be tricky to cut, so use sharp scissors to cut the fangs out yourself. 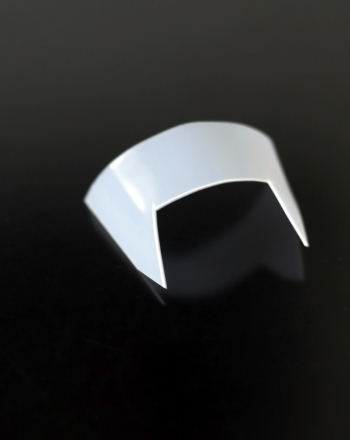 Be sure to round the edges -- you don't want any pointy corners in your child's mouth. Time to bend that plastic. Let your child carefully curl the plastic fangs into a tight circle. Have her use tape to secure the circle. Set the fangs aside for a few minutes. Let your child uncurl her fangs and remove the tape. Help her fit the fangs under her top lip. Is her vampire snarl ready? It's time to show off those fangs! If the plastic is being stubborn and won't stay nicely rounded, try a trick that football players use with their mouthpieces. Just boil a pot of water and slip the fangs in for about 20 seconds. The hot water will soften the plastic. While its still warm, have your child slip the fangs back into her mouth. The combination of the heat and the placement will mold the plastic to the shape of your child's mouth. Let this vampire help you out! 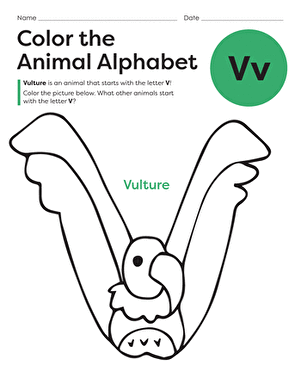 Add some Halloween colors to this mix as you learn about lowercase letter "v". 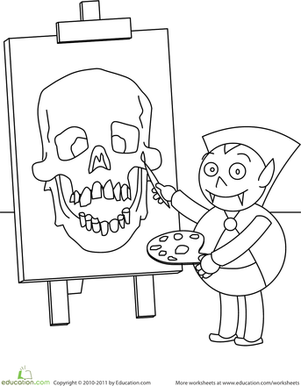 Get into the spooky spirit of Halloween with this vampire coloring page!